B.t.w. The Dutch Aackosoft release loads the loading picture as one big tape block instead of several regular sized tape blocks as in the tape image you can download from this site. I agree with Mike's comments 100%. 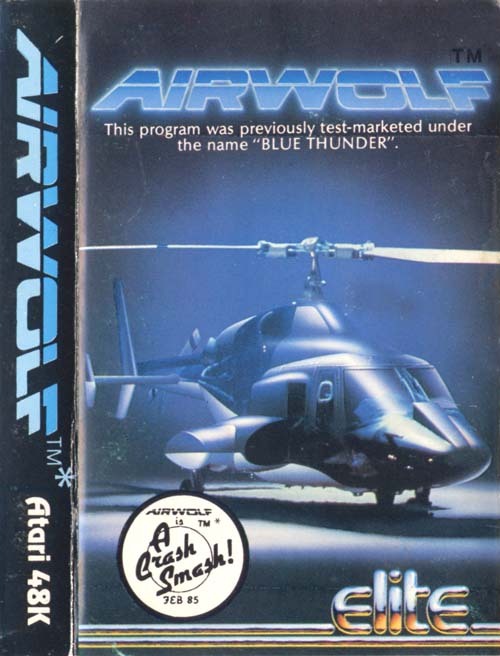 Airwolf had a fine looking title screen with chrome-effect lettering, but went downhill from there. 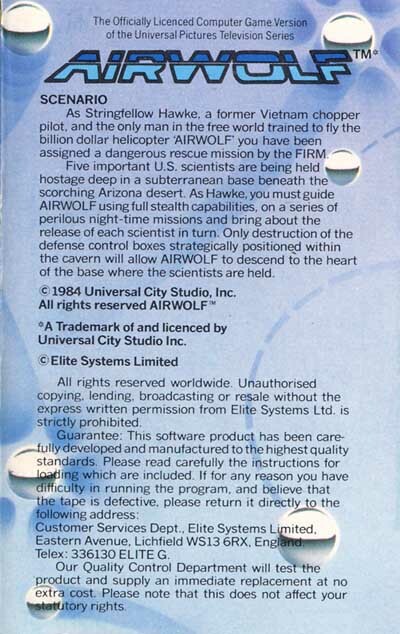 Airwolf is instructive to have in your library's hall-of-shame, as way of comparison with much stronger titles of the same era (1985). 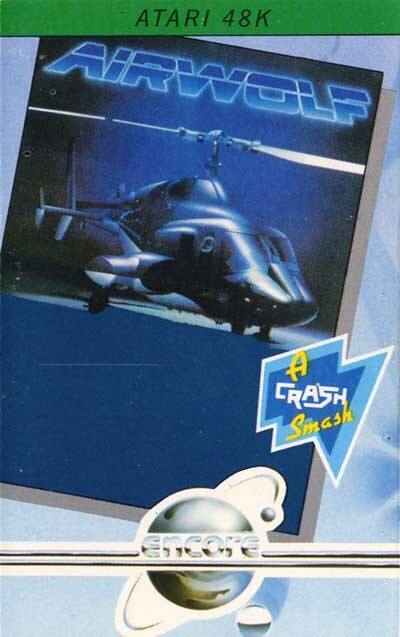 A re-release of Blue Thunder, which was poor first time round. Apparently Blue Thunder was released to test the market. You'd think they'd have got the message. 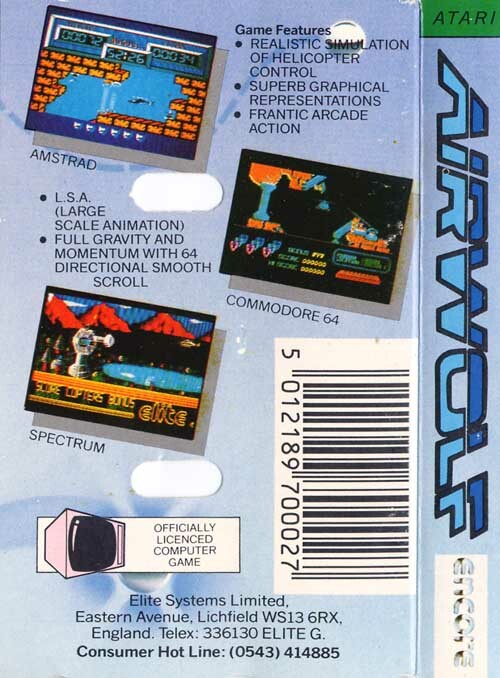 Poor game play, difficult controls and average graphics make this game resonably okay as a budget buy, but definitely not worth the £9.95 that Elite were asking when it was released back in 1985. 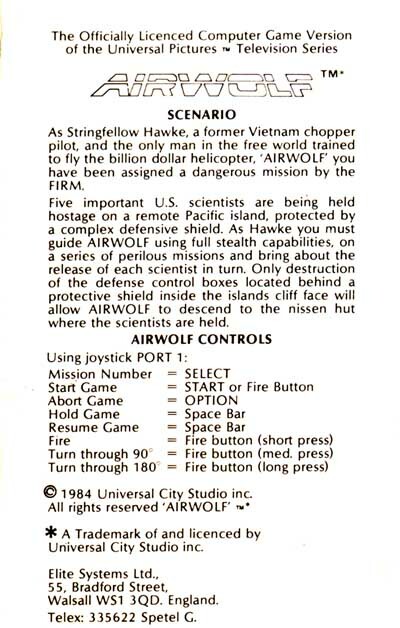 This sort of game smells of games that were released in the infancy of ATARI 8-bits, whereas in 1985 there were lots of far better titles around.